PROV has operated the Ballarat Archive Centre (BAC) since the early 1980s. The BAC includes a Reading Room (operating between 10.00am – 4.30pm Monday & Tuesday), a Repository currently holding approximately 1500 linear metres of records, as well as a staff work and amenities area. 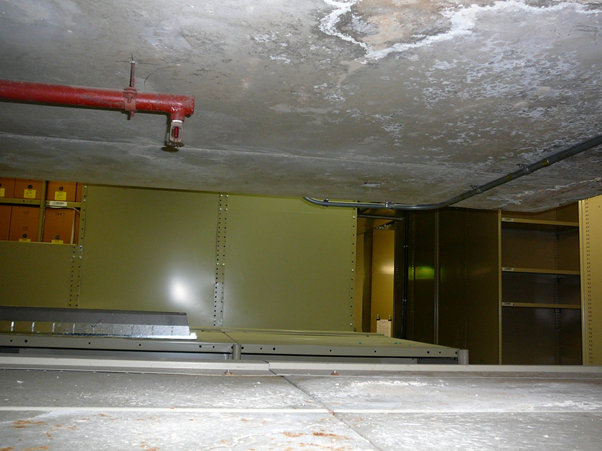 Over the years the facility has suffered numerous water leaks, efflorescence is occurring (and while not harmful to humans it can damage some collection items) and there is a rising damp problem. The Centre is cramped and while risks are managed they cannot be totally resolved as they are all issues related to the building’s structure. As such, the current facility is coming to the end of its useful life. Discussions have been ongoing with other local cultural institutions to determine if our Reading Room services can be effectively relocated and our collection stored in a secure and environmentally controlled facility within the Ballarat region. Secure the collection at a site that meets PROV’s Storage Standard PRO 11/1 Specification 2 Storing and Managing State Archives. Deliver a new service delivery model that is effective in meeting researcher needs and which is financially viable. Ensure ongoing costs of the new service delivery models are budget neutral. Ensure a smooth and efficient transition of PROV’s public facing services into the nominated location. Researchers will be provided with access to better facilities and the Reading Room hours may be increased. Records will be stored in a facility that protects the collection and meets PROV’s Storage Standard. Health and safety risks for staff will be reduced by moving to a new site that meets PROV’s standards and a better designed and functional repository space. There will be increased access to the Collection through the digitisation of more Ballarat records, which will be undertaken ahead of schedule to support the relocation. Temporary records held in the Collection will be distributed to Places of Deposit within the region. It's confirmed! The Ballarat Archives Centre will soon move to a brand new building! We will have more specific information about the new building for you very soon. In the meantime we want to flag with researchers these important dates. From 27 May to 17 June our collection will be unavailable to order and view due to the relocation. Please ensure you plan your research around these dates. We apologise for any inconvenience this will cause. PROV will be transferring part of its Ballarat collection to our North Melbourne location to undertake some vital archival documentation work. Only a very small number of these records are currently available to order online. Please check when ordering Ballarat records to see which Reading Room they can be viewed at. Note that if you have ordered a Ballarat record and it says that it can be viewed within the North Melbourne Reading Room, please discuss your access options with the Ballarat staff. This work will commence on 6th March 2019 and is estimated to take 6 months to complete. This is part of our larger project aimed at improving collection documentation in association with the move of our Ballarat collection to a new, contemporary storage facility. We will be moving the collection to the State Library Victoria site at Mount Helen. Expected to occur between April - June 2019. We are in discussions with the Council regarding the possibility of relocating the Reading Room services to the former site of the Museum of Australian Democracy. A new service delivery model for Ballarat is being developed. Once a model is developed we will seek feedback from all stakeholders. Existing PROV staff in Ballarat will move to the new Reading Room location. Services will need to be closed for a short time to allow relocation of operations to occur. Once that period is determined we will advise all stakeholders. We will continue to digitise parts of the Ballarat collection. We are currently working through the map/plan collection, and digitised Ballarat Rate Books are expected to be published in the first half of 2019. A survey of the Ballarat collection is being undertaken to ensure documentation of collection is to standard. The survey has so far identified a number of temporary records that may become available to PODs within the region. This page will be continually updated as decisions are made and information becomes available. We will also communicate with local groups and researchers directly and via our other channels including social media and newsletter. Efflorescence is the white powdery substance on the surfaces of unsealed concrete and the white blush seen with sealed floors. Efflorescence is caused by vapour migrating through the slab bringing soluble salts to the surface of the concrete.